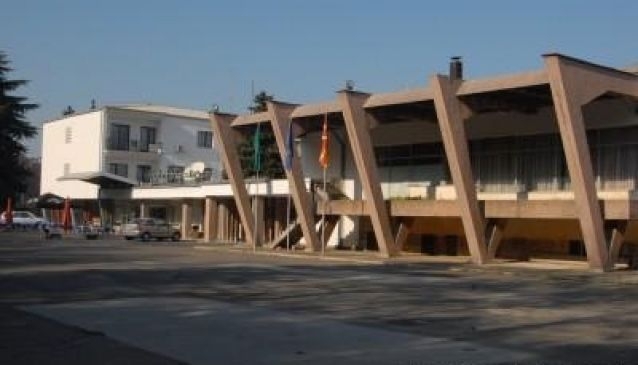 The unique and modern design and its position as well make Hotel Vodno one of the frequently visited destinations in Skopje. The hotel is surrounded with green forest and fresh air and is approximately 4 km from the city centre, which is nothing compared to the peace and tranquillity that it provides. Hotel Vodno has 28 modern decorated rooms, each fully equipped with all the amenities that can satisfy the needs of one modern traveller. The beautiful spacious terrace offers magnificent views where guests can relax with refreshing drink or a light meal. Hotel Vodno features also a restaurant with capacity of 250 seats and 2 conference rooms suitable for business meetings and similar events. The professional and attentive staff will make your stay comfortable, relaxing and always pleasant.